Here you will notice that smaller type in search fields have been converted to to larger square buttons and the options tabs on top have been replaced by icons that are at least double the pixel height. Less text and more icons make things more easily recognizable so you can navigate quicker. The minimizing of white space maximizes the buttons so things are more “thumb friendly”. This makes the UI (user interface) easier for people to use one handed and minimizes things to only necessary information. The updated color scheme seems fresh against the flat orange. The changes don’t stop there, head into the hotel tab and you notice that the imagery floods the menu. Here is the most drastic change. The small thumbnail really does nothing to entice people to look at more information on the hotel. The old version was reliant on panes filled with information that someone may find helpful. In the new version the hotel image is presented in full width glory with overlays of smaller information that was presented in the older version as well. The updated look is more user friendly but this time it also lends itself to the UX (user experience) design. There are other sections that weren’t revised at all, and that was a little disappointing. The trip planner page and explore the world were not even touched. They looked exactly the same as before the update. That alone made me feel like the rollout was only half baked. The only difference is the new footer menu and the new gradient color header. They could have treated these the way they handled the rest of the app, minimize the design and let the striking visuals peak the users interests. 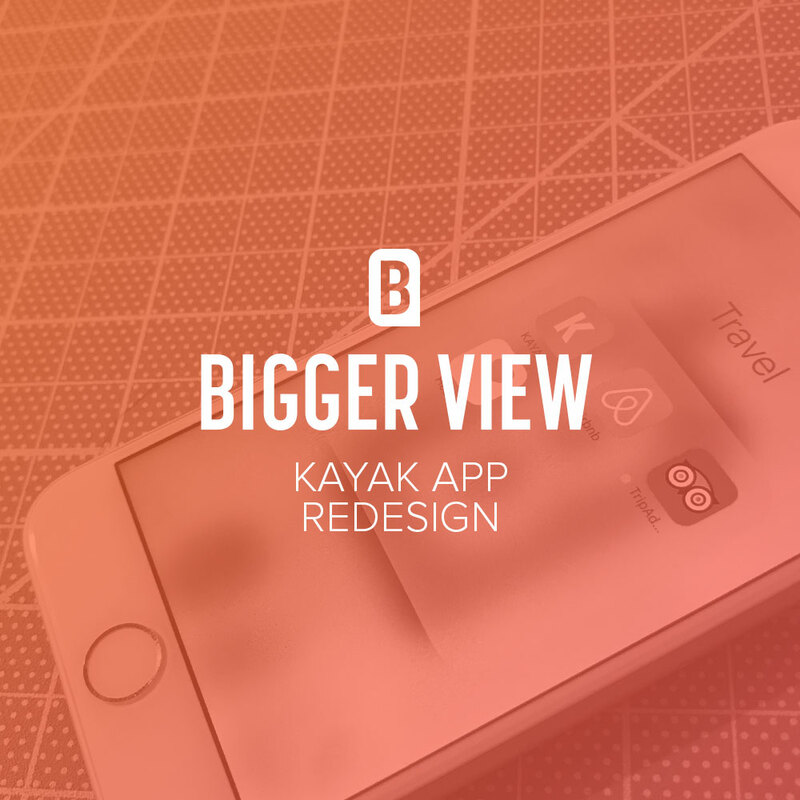 The steps that Kayak made to refresh the app were moving in the right direction. The one caveat I have is that there are more changes that can be made, if Kayak was looking to rebrand this seemed like a soft launch. There are still remnants of the old design within the app, and the website still maintains the old logo style and design. From a branding perspective I definitely would have created a unified release. The last thing you want to do is create confusion. Trying to establish a new visual identity becomes harder when you still have remnants of the past lingering around. That being said I really like the direction Kayak is heading, but due to some shortcomings I would rate this redesign at a 7.5 out of 10. The moves that were made were amazing, but with a bit more time and refinement the whole app could have felt unified and not segmented into two separate looks.